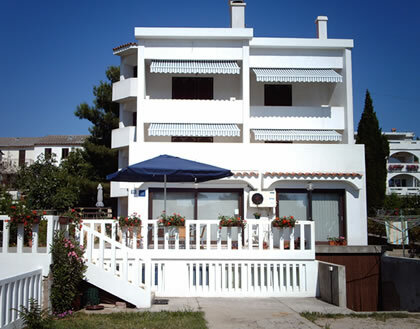 Pansion Rosa is located in a small touristic destination Punat, Island of Krk. It is situated in peaceful part of the town. Distance from the sea and restaurant is 300m. We offer double and tripple rooms, with possibility of extra beds. Each room is equipped with its own bathroom. Some rooms are equipped with kitchen, AC and TV. We have rooms with or without balcony and all of them have beautiful sea view or view of town Punat. Accommodation offer is with or without breakfast. Pansion has private parking, lighted all of the night. Also possible to arrange accommodation for groups. We will do our best to ensure you a pleasant stay.